Looking for the perfect wedding venue? – Simonstone Hall is just the place. Celebrate your special day in the most stunning surroundings. Make memories to last a lifetime, at Simonstone Hall, with tailor-made wedding packages designed around you! ENJOY THE BEST THAT YORKSHIRE HAS TO OFFER! Panoramic views, world-famous landmarks and breath-taking scenery on the doorstep - lets make memories, that last a lifetime. Enjoy live music, great DJ and fun entertainment. Our celebrations can last well into the night - a wedding to remember! Simonstone Hall is a unique 15th Century Country House with 18 beautiful period bedrooms, set in the beautiful Yorkshire Dales. 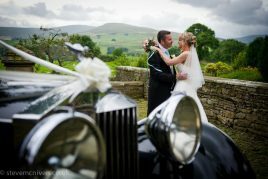 The hotel stands in its own splendid grounds with spectacular, unrivalled views across the dale and surrounding fells. The house is privately owned and has been carefully restored, whilst preserving the historic character of this beautiful building. The view from the South facing terrace of the hotel is one of the most stunning in the country and can be enjoyed from the majority of our bedrooms. Simonstone Hall is one of the most idyllic & romantic venues in the area for weddings. Dream of becoming Lady & Gentleman of Simonstone for the day by taking full exclusive use. 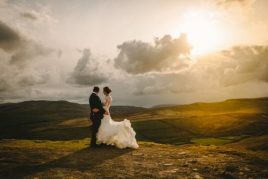 Your special day deserves to be bespoke, taken care of by our friendly, professional team guiding you step by step, ensuring your special day is memorable, romantic and exceeds your expectations. 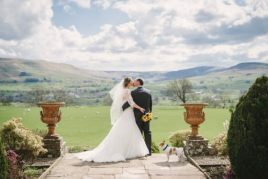 We are licensed to hold civil wedding ceremonies and civil partnerships in our beautifully appointed Drawing Room, with the glorious views across Wensleydale as a backdrop. Enabling you to hold your ceremony, wedding breakfast and evening reception all in one location. All our 18 bedrooms are beautifully furnished, most of the Superior or Luxury Rooms have four-poster beds or sleigh beds – many having stunning views across the dale and range in price from £80-£185 depending on the standard of room. We can accommodate dining parties of up to 70 in the Stags Fell Suite, whilst the Hunt Room provides seating for up to 22 people on a single grand table. 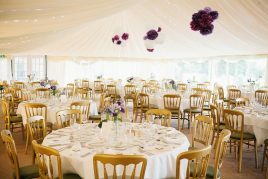 Marquee hire allows seating for an extended guest list of to 150 guests.